Margo Kelly: Who should follow the rules? Who should follow the rules? Yah, Yah... I know... RULES. Who makes the rules, and why should they be followed? Well, that's a huge discussion, and today, I'm only going to tackle part of it. This weekend, I read the "Hunger Games" trilogy (check out my reviews on Goodreads by clicking on the box in the lower left of this blog). While I found the stories absolutely captivating, I was distracted and pulled out of the moment many times by the "rules" that were broken. Now, I understand that if you are a best-selling author, the rules may no longer apply, but it was still distracting! And, frankly, frustrating. I've been told and read many times that debut authors must follow the rules as much as possible in order to get that first book published. However, there are conflicting opinions that argue we should simply read the best-sellers and follow their examples in how to write a great book. Ack. Which is it? 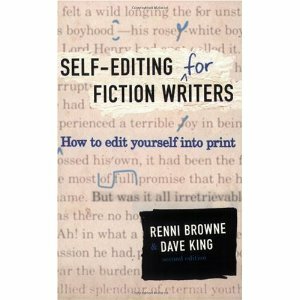 According to Self-Editing for Fiction Writers, "Very nearly the only time you need [thinker attritubtions] is when you're writing from an extremely distant point of view..." (page 124). And yet, in Catching Fire, which is written in a very close first-person point-of-view, Collins constantly uses thinker attributions and italics. "I can't do it, I think. I'm not that good" (page 30). Another broken rule that constantly distracted me in the trilogy was the use of dialogue tags. Again, according to Self-Editing for Fiction Writers, "Name before the noun ("Renni said") rather than the other way around ("said Renni")" (page 95). And yet... throughout the trilogy this "rule" was broken. "...says Octavia...says Venia..." (page 48, Catching Fire). So, while I loved the trilogy (read it in three days) I was frustrated by the grammar. What do you think? Are "rules" meant to be followed? Only by debut authors? Or not at all? I hate reading now because of the rules! lol. I started reading "Self-Editing for Fiction Writers" but stopped halfway. I think I break too many of the rules... I dunno, though, they aren't in a bad way. Chantal - it can be frustrating, eh? Sometimes, I have to step into another genre to enjoy the book more. ha.